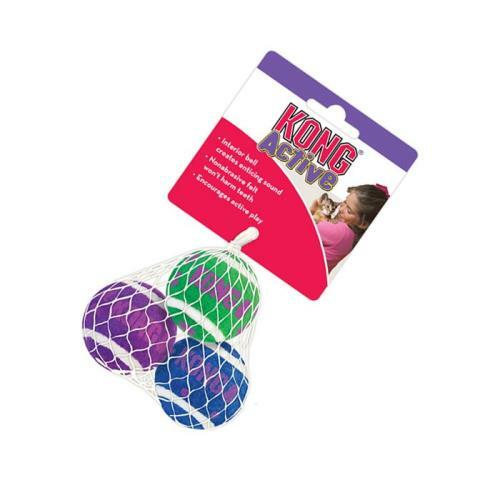 KONG Active cat toys promote healthy exercise and fulfil cats’ instinctual desires to chase, hunt and capture. KONG Cat Tennis Balls boast non abrasive felt and won’t harm teeth during play. Cats won’t be able to resist interior bell, encouraging exercise in indoor cats.